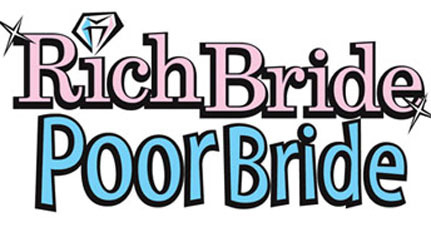 Rich Bride Poor Bride is a 13-episode, one hour series exploring the human drama of the price people pay to pull off their perfect wedding. Each episode follows the journey of one couple and their wedding planner as they design and redesign their “Big Day” around desires and their budget. We see what happens when costs collide with expectations and how every decision affects the couple’s hearts and pockets. No matter how much is spent, is it ever enough? Viewers watch the wedding come together bit by bit and buck by buck. It will have all been worth it to see the two loving people tie the knot … hopefully it’s not around each other’s necks!